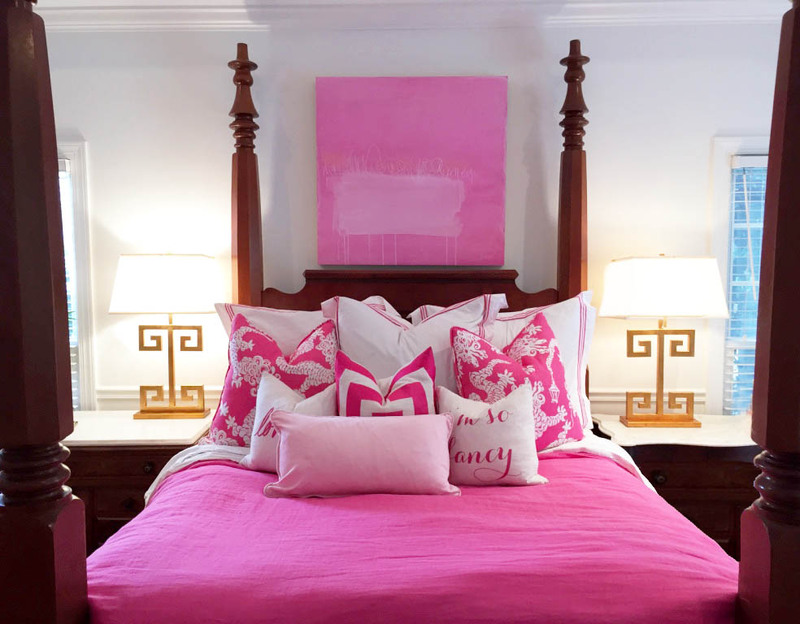 I love this gorgeous pink painting in my room by Kate Merritt Davis. I found it on a recent trip to St. George Island with friends and family, and a rainy day lead us to Apalachicola to shop. I was head over heels over this find! I wanted to put it in a special place, where I would get to see it all the time, so as of today, it hangs above my bed!! My bed is topped with Pine Cone Hill linens, Trina Turk and Lilly Pulitzer pillows, and I think the piece matches perfectly! This artwork is s a non-representational form of rich color and graphite lines captured on panels of wood. Kate Merritt Davis currently works out of her studio in Irondale, Alabama, while tending a rambling garden in the company of her husband and their three dogs. I love all of her work! Click here to see more and shop. P.S. Tell her I sent you! Got 24 hours? It’s time for a makeover!